Detectives are appealing for witnesses following a paramilitary style shooting in Londonderry last night (Thursday). 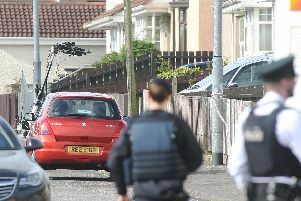 At around 7.45pm it was reported that a 41-year-old man had been shot in the ankle close to Creggan shops. The man was taken to hospital for treatment. Detective Sergeant Reid said: “Whilst these injuries are not life threatening, this was a brutal and horrific attack. It is yet another example of how criminal groups seek to control communities through fear and violence. “I am appealing for anyone who witnessed this incident or anyone with any information that can assist with the investigation to contact Detectives in Strand Road on 101 quoting reference number 1190 of 07/12/17.